The Social Security Disability system in the United States is very complicated. Whether you are a recently disabled father trying to provide for your family, a single mother who can no longer work because of an illness, or the parent of a child who needs extra help because of a challenging condition, obtaining benefits is not easy. The “system” involves a complex set of rules and requirements that make it very hard for the average person to successfully receive payments. 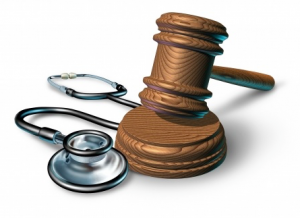 A singular focus on representing the injured and disabled. 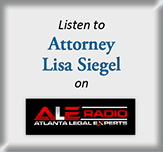 Having all important work performed by an experienced disability attorney. A guarantee that you pay no fees unless you obtain social security disability benefits. 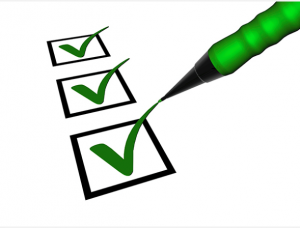 A proven track record of success in both routine and difficult cases. Regardless of whether you are considering filing for benefits for the first time, or have been denied numerous times in the past, please call our office at (404) 255-9838. We will discuss your options free of charge, and help you make an informed decision about what to do next. We look forward to talking with you. DO YOU HAVE A SOCIAL SECURITY ACCOUNT YET? April is National Social Security Month and is a great time to create a Social Security account if you haven’t done so yet. A mySocial Security account is a personalized account that allows you to access all the information you need. The account is free to set up and offers you access to your latest Social Security statements, allowing you to access real-time information about your statement and benefits. You can also receive estimates of the benefits that you are likely to be eligible for in the future, a useful tool when planning for the years ahead. The account helps you manage your Social Security account without any trouble and without any additional expense. A mySocial Security account gives you the ability to determine your future benefits earnings. The system will calculate this based on a number of factors, including your history of benefits received in the past, as well as future earnings estimates. You can check up on the disability benefits payments that you are estimated to receive in the future as well as retirement benefits. You can even investigate the benefits that your family members will be eligible for if you pass away as a result of your disability. There are several other advantages of having a Social Security account. For instance, you can easily get a replacement card if your current card is missing or stolen. So, what are you waiting for? With all the information about your Social Security account you need at your fingertips, you can get better control of your account and ensure that you receive every cent of the benefits that you are eligible for. Your spouse’s income or earnings could have a bearing on your disability benefits depending on the Social Security program under which you are receiving benefits. The Social Security runs two programs for people with disabilities – the Supplemental Security Income (SSI) program and the Social Security Disability Insurance (SSDI) program. To qualify for SSDI payments, you must have paid into the program during your time in the workforce. The SSI program, on the other hand, is a needs-based program. Under this program, you qualify for benefits if you belong to a low-income group and are unable to work. In fact, you do not need to be disabled to qualify for benefits. Seniors above the age of 65 may also qualify for SSI benefits if they belong to a low- income category. If your spouse is earning, it will have no bearing on your eligibility for benefits under the SSDI program. These benefits are reserved for those who have paid into the program, and as long as you have paid sufficiently into the program and meet other criteria, your spouse’s benefits will not impact your case. On the other hand, SSI may reduce the amount of benefits that you are eligible to recover if your spouse is earning above a certain level. If your spouse earns more than or has assets equal to or more than $3,000, you may not qualify for benefits under this program. This year, the World Glaucoma Association and World Glaucoma Patient Association partnered together for World Glaucoma Awareness Week from March 9-14th. The event aimed to raise awareness about this disabling eye disorder, and encourage screening for the disease. Glaucoma is an eye condition in which there is damage to the optic nerve which causes an accumulation of pressure inside your eye. This pressure progressively increases, and the result can be complete vision loss. If treatment does not begin in time, the patient may go completely blind in a few years. Unfortunately, there is no complete cure for glaucoma. 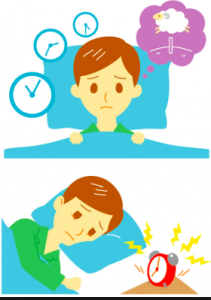 Early intervention, however, can delay the progression of the disease. A family history of glaucoma may place you at an increased risk of the condition. If you have a family history of glaucoma, you should be getting your eyes screened for this condition at least once every year if you are above the age of 40. Other risk factors can include the prevalence of diabetes, injuries to the eye, and untreated eye infections and inflammations. Glaucoma can, however, affect all people, and not just the middle-aged or elderly. If you are suffering from Glaucoma, you may qualify for Social Security disability benefits under the list of impairments reserved for those with vision loss. However, just a diagnosis of glaucoma may not be enough for you to recover disability benefits. Vision loss at the earliest stages of the disorder may be minimal, and you may still be able to engage in “substantial gainful activity” which is work that can earn you a sustainable income. 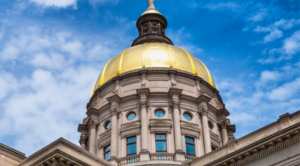 On March 25, 2019, the Georgia State House passed a bill paving the way for a limited Medicaid expansion. The Senate Bill 106 passed the Georgia House by a 104-67 vote, sending the bill to Governor Brian Kemp for his signature. The support for this bill came mostly from Republicans, with only six Democrats voting for it. This legislation has two parts to it. First, one waiver involves adding individuals to the Medicaid rolls. The second part allows Georgia to reorganize the state’s health insurance exchange, created by the Affordable Care Act for those without coverage from their employers or government program. Many Democrats argued that a complete expansion of Medicaid is necessary to cover hundreds of thousands of Georgians and to help rural hospitals. Rep. David Dreyer (D-Atlanta) argued that this legislation, as opposed to full Medicaid expansion, would “cover 200,000 less people, and we would likely be paying more.” However, Rep. Butch Parrish (R-Swainsboro) argued that this bill is “a step in the right direction that will improve health care and access in this state.” This limited expansion of Medicaid will likely help some individuals in Georgia with disabilities. It will be important to watch in the coming weeks and months the impact of this legislation. If you have questions about filing a disability claim, contact this law firm. MY CHILD HAS DOWN SYNDROME: DOES HE QUALIFY FOR SOCIAL SECURITY DISABILITY BENEFITS? March is Trisomy Awareness month and is dedicated to promoting awareness of this condition. Trisomy 21, known as Down syndrome, is a genetic disorder that is characterized by the presence of three chromosomes, instead of the normal pair of chromosomes. Down syndrome is the most commonly known trisomy disorder. The other two disorders are Patau Syndrome or Trisomy 13, and Edwards syndrome or Trisomy 18. Down syndrome is one of the most common genetic birth defects. In the United States, it is believed to affect as many as one in 800 people. The condition is characterized by unique facial characteristics, impairment in intellectual and mental functioning, and other birth defects. Also, as many as 50% of all babies born with Down syndrome are diagnosed with a heart defect. Children born with Trisomy 21 can also be at risk for intestinal malformation which may necessitate surgeries. They may also be at risk for hearing trouble, as well as several types of vision problems, including near or far-sightedness and cataracts. 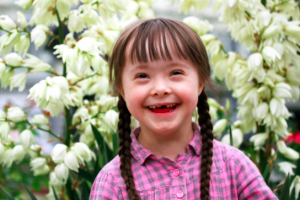 Qualifying for disability benefits for a child diagnosed with Down syndrome will depend on the type of Down syndrome that the child suffers from. The most common form is called non-Mosaic Down syndrome, a condition in which the child has an extra chromosome 21 in every cell. The other type is Mosaic Down syndrome in which some cells have the Trisomy 21 chromosome, and some cells have a regular number of chromosomes. Tagged: "down syndrome" and "trisomy 21"
The cancer has spread beyond the original region. Tagged: "medical records" and "RFC"
Never has your personal information seemed so much at risk of being breached or compromised by scammers. 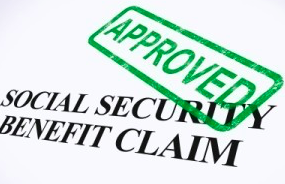 As attorneys, we see more and more cases of Social Security accounts being misused by thieves. The IRS scam involves a supposed “IRS officer” calling to ask you about personal details. The common Social Security Administration (SSA) fraud has scammers impersonating officers of the SSA in an attempt to get you to disclose valuable personal information. Then, there are data breaches like the Equifax, that involved more than 100 million accounts. This data breach included the leaking of Social Security information involving millions of people, information that could easily be used by a scammer to compromise accounts. 2018 was a terrible year for consumer privacy. 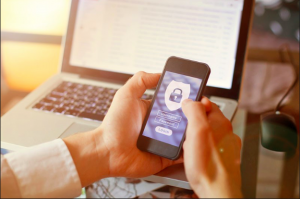 According to the Identity Fraud Report by the Javelin Strategy and Research Firm, the percentage of Americans who suffered data breaches went from 12% in 2017 to a staggering 30% in 2018. Also for the first time last year, Social Security information was compromised more than credit card information. 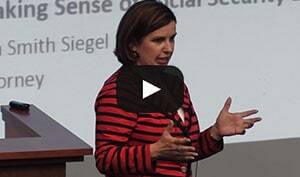 Tagged: "scammers" and "consumer privacy"